President Moon Jae-in has just returned from a five-country trip to Europe, with North Korea at the top of the agenda. His recent trip reinforced that Europe is sympathetic towards President Moon’s diplomatic push, but Seoul also saw first-hand that the EU is not fully supportive of every aspect of Seoul’s North Korea policy. A good starting point to understand where Europe stands is the fact that there was no joint statement following Friday’s EU-ROK bilateral summit. This is highly unusual. Essentially, the lack of a joint statement was due to one factor: the EU’s insistence on including the phrase “complete, verifiable, and irreversible denuclearization (CVID)” or a similar wording in the statement. South Korea was opposed to this: Moon would have accepted the use of “complete denuclearization,” but CVID ended up being a step too far. In the weeks prior to the summit, there were discussions about the joint statement referring to support for the Iranian nuclear deal and denouncing Russia’s interventionism in Ukraine. 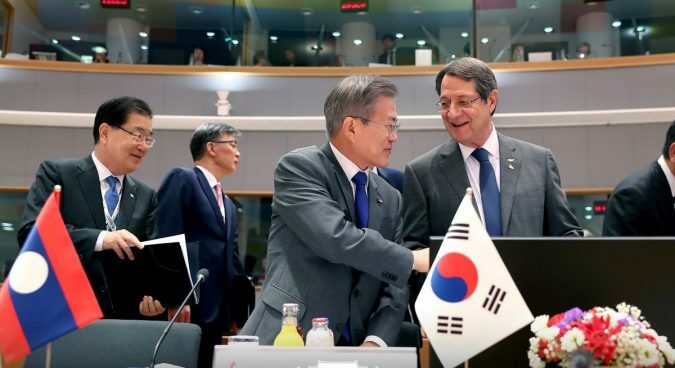 Within the South Korean government, there were discussions regarding providing support to Brussels on these matters in exchange for the joint statement toning down its message on CVID, as well as on sanctions. Once it became clear that Brussels would not budge on CVID, however, the scene was set for no joint statement. For Brussels, full implementation of UNSC sanctions is necessary to discourage others from following North Korea’s steps – particularly would-be nuclear powers in the Middle East. 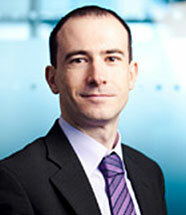 It is also a matter of international law, for one of the key tenets of the EU is respect for the rule of law. The official position thus remains that if UNSC sanctions are in place, they should be applied. But this should not hide the fact that there are divisions in Europe regarding full implementation. Support for maximum pressure is waiving as inter-Korean relations move forward and President Donald Trump and Chairman Kim Jong Un prepare for a second summit. Most EU member states would much rather concentrate on Russia, China and a host of other foreign policy and domestic issues rather than sanctions on North Korea. In this context, and very importantly for Seoul, President Moon’s trip has helped to move Europe towards sequencing. 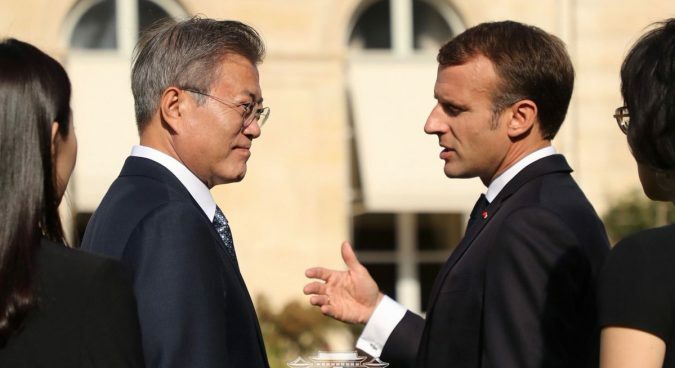 It has been barely discussed that French President Emmanuel Macron suggested that there could be moves towards sanctions relief if North Korea takes “meaningful steps” towards denuclearization. Similarly, a press release from the UK government following President Moon’s meeting with British Prime Minister Theresa May stated that North Korea had to take “concrete steps” towards denuclearization, but, crucially, did not directly link sanctions relief to CVID. Also, in conversations behind closed doors, different European diplomats linked sanctions relief to a denuclearization process rather than CVID itself. This can be considered a diplomatic victory for Seoul. The EU’s position only a few months ago was that sanctions relief would only come following CVID or full denuclearization. After all, that was the deal with Iran. The move towards sequencing aligns the EU with South Korea. Crucially for Brussels, sequencing is also the position that the United States seems to be moving towards. 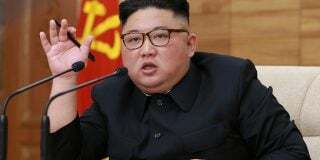 In the lead-up to Friday’s summit, some EU member states balked at the possibility of North Korea creating another rift with the United States. Differences over the Iranian nuclear deal, trade, NATO or multilateralism are more than enough. Brussels is comfortable with aligning its position on sanctions relief with Washington’s. This includes sequencing. President Moon’s Europe trip also helped to bring to the fore that the EU stands ready to do more to support the denuclearization and peace processes taking place in the Korean peninsula. President Macron was the most explicit when he offered France’s technical expertise and experience if North Korea goes down the path of denuclearization. Similarly, the United Kingdom also sees itself potentially playing an active role during the denuclearization process. This willingness extends to the facilitation of dialogue. During President Moon’s visit, there was speculation in Europe that Stockholm, Vienna or perhaps Helsinki could host the second Trump-Kim summit. Geneva, although not in the EU, was also discussed as a potential venue. President Moon could witness first-hand that several European countries stand ready to bring the different actors to the table. 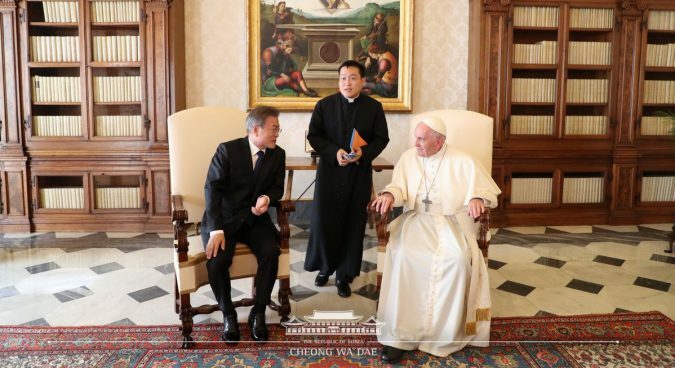 It is in this context that President Moon’s meeting with Pope Francis has to be mentioned. President Moon delivered a message from Chairman Kim Jong Un inviting the pope to visit North Korea. Pope Francis indicated that he would be available for a visit. 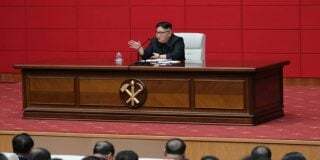 There is speculation that he could go to Pyongyang if the inter-Korean peace and North Korea’s denuclearization processes continue to move forward in the coming months. His would be a trip full of symbolism, providing a seal of approval to inter-Korean rapprochement. One aspect that caught many by surprise was the announcement that U.S. Special Representative Stephen Biegun would be travelling to Paris and Brussels. 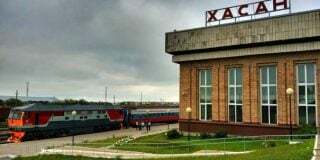 He wanted to transmit the message that full implementation of sanctions should continue. The announcement was not particularly well received. This was not only the week of the EU-ROK summit, but also the week when Brussels hosted the Asia-Europe Meeting, or ASEM, and the EU-ASEAN summit. It was also the week in which the EU’s Foreign Affairs Council bringing together ministers of Foreign Affairs of EU member states adopted the EU’s Asia connectivity strategy. Special Representative Biegun, essentially, crashed Europe’s Asia party. Visiting this particular week was an unwise diplomatic move on the part of Washington. Overall, President Moon can be mildly satisfied with his trip to Europe. On the positive side from Seoul’s perspective, the EU has moved towards accepting sequencing. Furthermore, the EU and several European countries expressed their willingness to provide concrete support for diplomacy in the Korean Peninsula, whether through their technical expertise or the facilitation of dialogue. But CVID and full implementation of sanctions remain official EU policy. Seoul still has to decide how to make the EU trust Pyongyang’s intentions, as well as how to convince Europe that sanctions relief should come earlier than the EU is willing to contemplate right now. In other words, Seoul’s diplomatic efforts in Europe have only just begun. Subscribe to read the remaining 1156 words of this article.